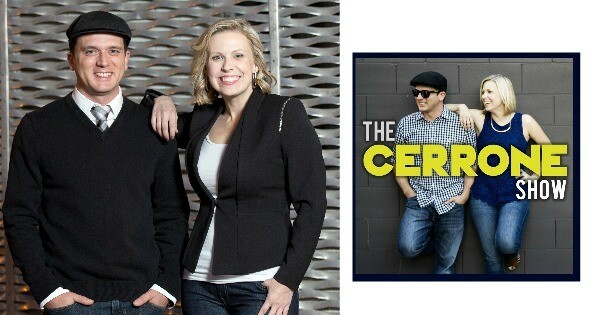 Today's guests on the show are Chris Cerrone and Laci Urcioli from The Cerrone Show. If you do not recall Chris was actually the guest on the first episode of Fire and Adjust and I wanted to get him and his co-host and business partner Laci on to talk about some of the great things they have been up to lately. We talk some about how Chris and Laci decided to partner up and the benefits and struggles they have faced along this journey. These guys are all over the place and since they have teamed up, they have take their business and show to the next level ! We talk some about what it takes to make things happen these days and how we need to be careful and pay attention to our health along the way as well. There is a ton of great information in this show guys check it out, Laci and Chris also leave us with some instagram and social media tips you can apply today no matter where you are on the time line. We also get a first time exclusive sneak peek into some of the 2015 Cerrone Show plans for 2015 !